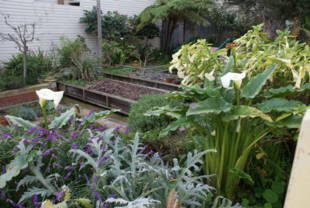 Noe-Beaver Mini Park is a gorgeous community garden with plenty of beautiful trees, particularly the palms. 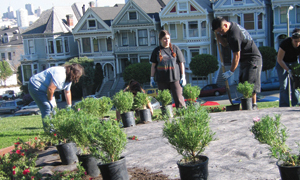 To find out about plot availability, or to sign up for an available garden plot, please visit the Recreation and Parks Department Urban Agriculture website. 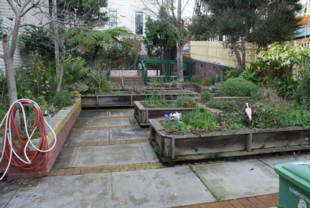 Noe-Beaver Community Garden is owned by the San Francisco Recreation and Park Department. 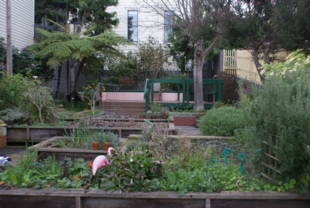 Muni access: The garden is located one block north of the intersection of Market and Noe. The F-Market & Wharves streetcar stops at that intersection. 24-Divisidero -- Castro and 15th Street or Castro and 16th Street; walk to Beaver, then head east (left from 15th, right from 16th). One block to Noe and the park.